IZON specializes in 3D content, delivery systems and integration. IZON has developed 3D technology over the years leveraging the strength of it’s senior management‘s experience in content creation, production, development and technical support. Our original focus targeted the film industry and 2D to 3D cinematic conversion, however, the technology and our vision proved to be more malleable than anticipated and IZON was able to reach out and service other markets. 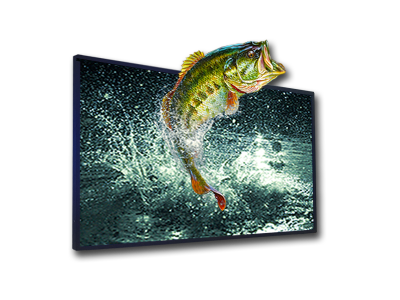 Our current targets 3D Glasses-Free delivery solutions, primarily auto-stereoscopic (3D viewing without 3D glasses) TVs and 3D commercial signage displays. 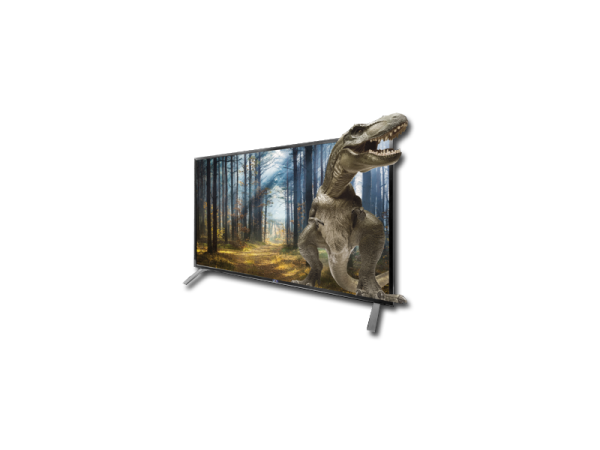 IZON has committed itself to 3D technologies and providing an elegant simple home entertainment medium. 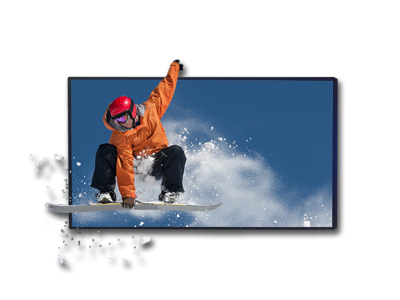 The IZON 3D Displays allow end users to watch their favorite 3D blu-ray movies and/or streaming 3D content without the inconvenience of wearing 3D glasses. The general feel is an immersive visual experience with the sense that you can almost touch the imagery. Our constant exploration and openness to emerging technologies and collaboration with other technology companies enables us to maximize the overall effectiveness of the 3D. Our goal is to deliver products that will heighten the viewer’s experience at an affordable price. In parallel, the commercial 3D signage for store fronts, high traffic venues and sport arenas, adds a new twist to capturing impressions for the advertising market. 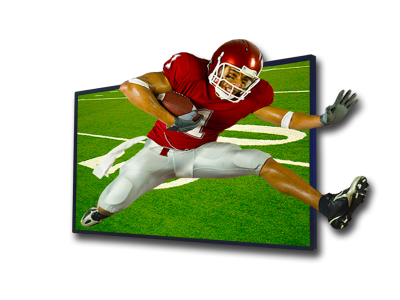 The captivating 3D ads draw the traffic flow in and holds the spectators attention making it a perfect addition for the digital signage industry. Regarding 3D content conversion, our proprietary software HyperMix 3D™ allows us to take any 2D flat content and convert it into engaging 3D stereoscopic content. The process adds an extra dimension to the media by creating discreet left and right image pairs to enable depth perception. The heart of the 3D pipeline is our HyperMix 3D™ engine, a sub-pixel accurate rendering technology that converts 2D to 3D. In the real world, IZON’s conversion team members have worked on theatrical releases including: Gulliver’s Travels, Chronicles of Narnia, Michael Jackson’s “This Is It”, Hoodwinked 2, Conan 3D, etc. We bridge the 2D world to the 3D world...allowing the flat and lifeless to visually envelop your senses. IZON is focused on processing high quality, aesthetically pleasing 3D imagery that enhances the end users over-all experience. We are focused and committed to deliver an immersive 3D experience in a smart and simple way. A company that thrives by its slogan “Ideas That Spark Evolution”. Mr. DiFrancesco and Michael Gibilisco founded the IZON® BRAND in 2015 through MGJB HOLDINGS, LLC. Mr. DiFrancesco is an EMMY AWARD winning producer who along with his wife creating the idea, the characters and wrote and produced 350 songs for the "GINA D KIDS CLUB television series of 39 half-hour episodes that is being broadcast worldwide. From November 1999 to December 2009 he took his company public and served as its Chief Executive Officer and Chairman of the Board of Directors of Raven Moon Entertainment, Inc. He has been a Producer and Director of children's television programs for more than 20 years and has won numerous other awards for children's television. Previously, he was in the music publishing and record production business in New York City and wrote and produced the hit “BEG BORROW & STEAL” by the OHIO EXPRESS and was part of the publishing team that acquired the publishing rights to “JESUS CHRIST SUPERSTAR” for MCA/UNIVERSAL. Mr. Gibilisco and Joseph DiFrancesco founded the IZON® BRAND in 2015 through MGJB HOLDINGS, LLC. Mr. Gibilisco is the creator and developer of a 3D digital processing technology. He has over 15 years experience in the Film, Video and Animation industry. His credits include producing and directing television shows for numerous clients, such as, Nickelodeon, Disney and Universal Studios with airings on a variety of networks such as PBS, ABC, WB, FOX, TBN, CBS, NBC, TNN, MTV, BET, satellite dish networks and affiliate networks. Mr. Gibilisco has received The Communicator's and Aurora awards for directing, special effects and animation along with being nominated for an Emmy. His pride, MG Studios, Inc., specializes in the creation and complete media packaging for the television and film industry. With Mr. Gibilisco's experience in the film and video industry and being involved with the technical aspects of the industry, he and created HYPERMIX 3D ® © their own process and software to view image/video/film with and without the use of 3D glasses. Network Sports Tv Director – Breeders’ Cup… to name a few. Created multiple revenue streams from existing clients through TV and radio adverting campaigns Conducted extensive market research, exit polling, sampling and industry analysis to compile market data for new product promotion strategies. Product sales became one of company’s highest with over $85 million annually. Accounts Managed include: Alcone Marketing, Gulf +Western (Paramount Communications), Nabisco Brands, Marriott Hotels, Cunard, Bell Atlantic, ABC TV Network Special Projects, ABC Sports, ABC Video Enterprises, NBC Sports, Cheesebrough-Ponds, Unilever, Bushnell Optics (Bausch & Lomb), Oncor Medical, Rorer Pharmaceuticals, National Multiple Sclerosis Society, Regional Plan Association, Ghandi Foundation, Off the Grill National Franchise, F-1, IndyCar, NASCAR and other Fortune 100 companies.